I’m a ‘retired’ marathon runner, half-marathon runner, and every size race in between. I’ve placed 1st and in the top 5 of many races. I’ve run and even placed second the Spartan Races, Warrior Dash and so on. I say this to place credibility in what I’m about to tell you. 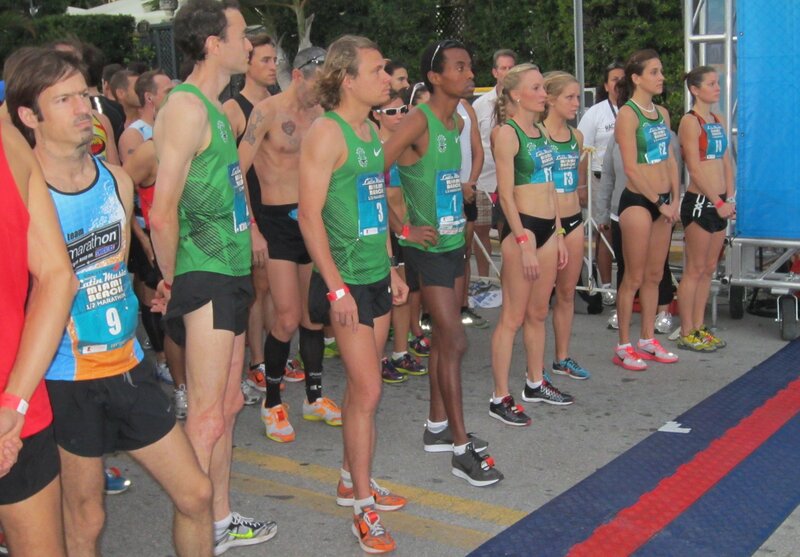 And I loved the whole process of all these races….the training, the event and the finish line. But, just because we can do something doesn’t mean we should, and do it over and over. I’m not here to tell you NOT to run races, I’m here to tell you why you should consider choosing the right race for you, the correct exercise for you, and to be aware that not all these high ticket races, gyms, fitness programs, and trainers are what you need personally. What is your end goal? Treadmills, elliptical machines, and stationary bikes are the #1 WORST Exercise For Your Belly Fat because it PROGRAMS YOUR BODY to burn nothing but food and sugars – instead of burning off ugly fat. We used to think all this long cardio was good for our heart and burned all kinds of fat, but did you ever read anywhere that this was true? Sure, if you want to lose weight, running is one of the fastest ways to do that at the beginning. But we are running all wrong, and way too long in order to specifically lose fat. You can run all day, but if you want to lose fat specifically, then don’t do it for long bouts day after day. Running doesn’t have to be miles every day or every other day. You can run one and be done, and then lift. Conditioning your heart doesn’t have to include long cardio. It’s a muscle, and similarly, like your upper body, it doesn’t have to be taxed for an hour to be healthy—you can do it in snippets. 3. Are you at a plateau? If you put in 4 weeks on the treadmill or outside running of 3-5 days per week and are not seeing any changes, then why continue? Byt the way, aren’t you bored out of your mind? Do you look forward to actually working out like this? Some will say yes because it’s a stress reliever to get outside, to run and not look back, to get away from the stress of the day…but can I ask you a question? Wouldn’t you rather be making progress in your health while do those things? You are wasting your time. This should prove that what you are doing isn’t working. Shorten it by lifting weights, resistance training with bands, balls, tubes, or your body weight. You can get your heart rate up and down by the different multiple exercises you perform, instead of just straight cardio. You are wasting your time if you focus on running. This should prove that what you are doing isn’t working if you aren’t seeing significant progress as the days go by. I’ve had the runners high before. I know what you could be feeling. But, it didn’t make me healthy in the long run. Shorten it by lifting weights, resistance training with bands, balls, tubes, or your body weight. You can get your heart rate up and down by the different multiple exercises you perform, instead of just straight cardio. According to Men’s Health Magazine it takes over 22,000 crunches to burn one measly pound of fat? 22,000! That’s way too hard. Running for long periods of time is the same. It takes way too long to burn fat. Burn it the better and faster way with intervals and weight training the old school way. You don’t even need crazy new exercises. The same ones from long ago work well when done correctly. Squats, lunges, push-ups, pull-ups if you can swing it, bicep curls, and so on. When performing these exercises, your heart rate increases with the weight and the intensity of the movements. When you use large muscle groups it will increase your heart rate. You won’t find scriptures in the Bible where it talks about long bouts of cardio or exercise. You don’t read stories of people running from one city to another. They walked. Of course, there are countless reasons for this. They didn’t have the processed foods, desk jobs, and convenient commodities we have—that can make us less active and lazy. They had to work for their food which burned calories by their daily living. We don’t for the most part. This means we need an output of our stored energy. This is why fitness center and races were created. God made our bodies to move and be active, but it doesn’t mean we can eat whatever we want, then feel bad about it as our body responds with stored fat, so we try to burn it off just as fast as we consumed it. We can’t. So, we exercise harder and for hours to rid ourselves of it. It’s just like the treadmill. This cycle goes round and round. It’s laborious and dreadful. We can do this the right way, or the wrong way. If I had access to the right way, I’d much rather at least look into it and give it a try, than labor in vain. Long bouts of straight cardio can make you decrease in your thyroid function, stress out your body by releasing the stress hormone cortisol, all while increasing your appetite. All this laborious mindless exercise can also damage your heart. 7. Are you skinny or fat or skinny-fat? There is a difference between healthy and skinny. Some are skinny fat because they aren’t reaching the correct release of the hormones that keep them young or help them burn off stubborn fat. In fact, if you’re not careful long straight cardio can make you look “skinny fat”. It can eat up your muscle, make you look skinny, gaunt, too thin with skin hanging on your bones without adequate muscle under it. Look are your average marathon runner, long distance athlete. ball players (all of whom do shorter bouts of exercises, rest, then repeat).This should be proof in its self. Look at the muscle structure in the female marathon runner. There is little of it. She’s not skinny fat, she’s just skinny. *I’m not telling you never to run, I’m telling you to listen to your body and decide for yourself which is best for you. Do you want little muscle and to look thin, or to look healthy with some muscle…? It takes more calories to keep your muscle than to keep your fat. If you have adequate muscle on your body frame, it burns more calories to keep that muscle than if you had fat. Your body doesn’t burn calories when you have a lot of fat. It just sits there and takes up space under your skin. It doesn’t require calories to keep it. So, you can eat more when you have more muscle. You can lose weight while you run, but when it’s over, you stop. When you are at rest with more muscle on your body, you actually burn more fat. Nutrition is still king. It’s the most important part of your health. If you can tackle out a workout session, make sure you spend more time tacking out your kitchen and table with your foods. FIGHT FOR HEALTH with your food with the same tenacity that you give your workouts. DON’T WASTE your workouts! You can do all the research you want, some will be conflicting, but the true and accurate ones will tell you lifting (resistance training) is the new running. It’s just better for you – ask your doctor. Here are some great article to read up on as additional PROOF. 1. Skoluda, N., Dettenborn, L., et al. Elevated Hair Cortisol Concentrations in Endurance Athletes. Psychoneuroendocrinology. September 2011. 2. Sonneville, K.R., et al. (2008) International Journal of Obesity. 32, S19-S27. 3. Cakir-Atabek, H., Demir, S., Pinarbassili, R., Bunduz, N. Effects of Different Resistance Training Intensity on Indices of Oxidative Stress. Journal of Strength and Conditioning Research. September 2010. 24(9), 2491-2498. 4. J Clin Endocrinol Metab. 1992 Jul;75(1):157-62. Effect of low and high intensity exercise on circulating growth hormone in men. authors: Felsing NE1, Brasel JA, Cooper DM. 6. R. Bahr and O.M. Sejersted, “Effect of Intensity on Excess Postexercise O2 Consumption,” Metabolism 40.8 (1991) : 836-841. 6. C. Bass, “Forget the Fat-Burn Zone: High Intensity Aerobics Amazingly Effective,” Clarence and Carol Bass, www.cbass.com, 1997.